John has been a visiting research professor at the Faculty of Law, National University of Singapore and University of Hong Kong, and visiting research fellow at the Research School of Asian and Pacific Studies at ANU and the Asian Law Centre at Melbourne University. He has consulted widely to international donors such as the World Bank, UNDP, IFC, Danida and AusAid on legal development projects in East Asia. He has also worked on committees advising the Federal Attorney General and AusAid on legal cooperation and development in East Asia. 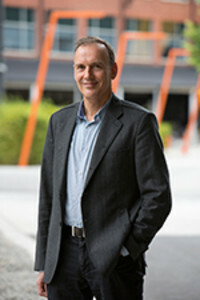 He is the director of the Asia-Pacific Business Regulation Group, and has authored and edited eight books, and published more than 60 articles and book chapters in journals such as the Law and Society Review, International Law Quarterly Review, Harvard Journal of Human Rights, Law and Social Inquiry, Stanford Journal of International Law and New York University Journal of Law and Politics. He is currently an editorial adviser to the Journal of Asian Law and Asia Pacific Law Review. His research and teaching interests include Asian comparative law, law and development theory and regulatory theory. He is currently working on a research project exploring what is socialist about socialist law in East Asia with scholars from the Universities of Hong Kong and Melbourne. He has been the lead investigator on an five ARC Discovery projects.